From World Competition To World Cooperation. On George Galloway’s “Sputnik” program on RT, he talks with university lecturer Dr. Sami Ramadani about the current Syria Peace Talks – Geneva 2. The second half of the show occurs with the absence of a British MP – who cancelled his scheduled appearance to speak about his view that Edward Snowden is a criminal. Dr. Ramadani shares his views on Geneva 2 which point out that those who have supplied arms, money, and training to the military opposition, whether moderate or mercenary, need to withdraw that support or the situation will turn into protracted war. He notes that a report originating from Qatar about Syrian government torture, released shortly before the start of Geneva 2 talks,was an effort to derail or sabotage any chance of success and ending the military conflict. He shares that Qatar has supplied over $3 billion in aid to mercenary forces fighting against the Syrian government army, and that the Syrian people don’t want any more fighting, warring, and destruction in their country. Dr. Ramadani has his doubts about United States resolve to end the over three-year crisis – that along with Saudi Arabia, Qatar, Israel, and Turkey – he thinks the U.S. intends to sabotage the state of Syria. His view is that both Iran and Saudi Arabia need to be involved in the talks at Geneva 2, as both are deeply involved in the situation and crisis in Syria. Because of Saudi Arabia’s backing of mercenaries from many nations and regions around the world in the war – and because Saudi Arabia’s political system is totally opposite of a democracy – most people in Syria are against foreign-backed intervention which has blocked chances for true democratic reforms. Mr. Ramadani explains that there is a genuine democratic opposition of Syrians, that they are not involved in Geneva 2 while the military opposition is, and that the genuine democratic reform group is against any further destruction of their country. He accurately describes the complexity of the present situation, where a number of groups consists of Saudi/Qatar-backed mercenaries who are committing atrocities, U.S.-backed so-called “moderate” anti-government military forces who have fought with other anti-government groups, and anti-military-solutions Syrians seeking democratic reform through non-violent means. As the Middle East region is the most important geopolitical, natural resource/energy region of the Earth, it has come as a surprise that few reports coming from Geneva 2, whether directly from the conference and its participants or from news programs and interviews/commentary, get to the source or genesis of the Syrian conflict. To the point, analysis of the humanitarian crisis in Syria rarely includes examination of the factors and significance of natural resources like oil and gas reserves. Rarely mentioned as well is the competition between western financial systems and the emerging BRICS alliance’ proposed development banking system – competing directly with the World Bank, International Monetary Fund, and other international financial institutions located in western places like Wall Street and London. Many analysts consider the conflict in Syria a proxy war between western nations led by the USA, Britain, France, Israel and others against Syria, Iran, Russia, China, etc. 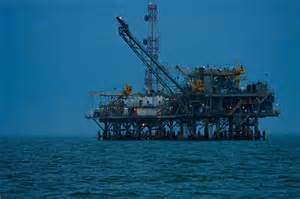 These analysts assert that the war is over oil and natural gas, pipelines’ competition between Iran and Qatar who share access to a giant natural gas reserve, and control of routes and distributions and market shares for very large sales to Europe. So, the basis of actions both military and financial during the past three years in and around Syria – the real reasons for the conflict – are not being discussed in ways that are necessary for a true, just, and concrete resolution leading to peace in Syria, the Middle East, and other nations on Earth. Until the views held by the most very powerful military, business, and financial entities around the world changes from “us and them” to “us” – the entire human race – the major source of war/conflict will never be completely eliminated. In essence, this means converting the world from one of competition to one of coöperation. Edward Snowden’s revelations in 2013 are directly related to world competition which has led to wars and conflict up to this day – shown by the current Geneva 2 peace talks. Mr. Snowden’s actions revealed NSA eavesdropping of America’s allies, prime ministers, United Nations officials, and others. In a world where coöperation between people and nations is regarded as more important than continuing to compete – with many resulting negative consequences – Edward Snowden’s actions would never have been felt necessary by him. 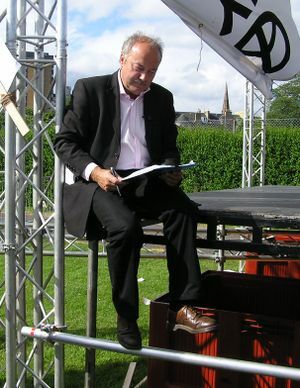 George Galloway describes how Ed Snowden is under consideration as a nominee to become Rector of Glasgow University in Scotland, a position which, if Snowden gets nominated and named, would allow him to travel to Scotland without arrest by British law enforcement, because of separate legal systems operated in Scotland and England. Mr. Galloway talks about years past when Yassir Arafat, Winnie Mandela, and Mordecai Vanunu were nominated for Rector at Glasgow University. Arafat was nominated but didn’t get the position. Winnie Mandela was named Rector but was unable to travel to Scotland – although the publicity overcame laws which disallowed media from publishing her views or photos and helped increase awareness of apartheid in South Africa and sped up its ending. Mr. Vanunu of Israel was named Rector and, although his jaw was wired shut, he was able to write/tell the world about Israel’s development of nuclear weapons. Perhaps Edward Snowden will be moving to Scotland. Competition and coöperation have one thing in common: they are both long words beginning with the letter “c”. Whether the most powerful nations, businesses, political and military leaders, and individual citizens choose one or the other as their most powerful motive for actions will make all the difference in the world. George Galloway is someone I have come to admire. He hosts a television program on PressTV which features live call-ins from around the world. This video is from September 9, just before the NO vote of the British parliament on military actions against Syria. What is special about George Galloway is that he follows nobody and will never sell out. He begins this program by saying that his views are not influenced by any payments, gifts, toeing any party line, political arm-twisting, or anything else but his own way of looking at the world. He is the rare politician / media personality who simply speaks his truth as he sees it. For some reason I feel that there will be even more and more men and women emerging who speak truth to power like George Galloway. How many United States Congressmen and Senators call their constituents “brother”? For those readers unfamiliar with Mr. Galloway, a previous post has him before a United States congressional committee looking into Iraq’s oil-for-food program in 2005, where he famously chewed up and spit out those who were cheerleaders for the Iraq War catastrophe-and their “pack of lies”. There are many videos on YouTube featuring George Galloway where one can hear him in his own words. His willingness to speak his truth no matter the setting-or status of those he engages in debate-is refreshing, invigorating and an important example for all men and women concerned about the state of affairs on this Earth to study. My guess is that George Galloway is more aware than most that life is finite, and he has the motivation to make the most of his time between birth and death. I have never met the man, so there has been no opportunity to share thoughts with him in a one-on-one setting. It is safe to say that such a meeting would be very interesting indeed. Any U.S. Congressmen Like George Galloway? British politician George Galloway gave this impassioned speech during the recent British Parliament debate on that country’s taking military action in Syria. That legislative body voted no on Britain’s entering into military action against Syria. Will the world see such passion coming from any of the men and women representatives in the United States? I came across this speech and was astonished to see a politician who made a firm decision to speak the truth. 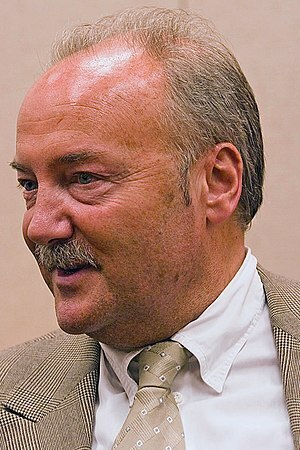 The first video is Mr. Galloway in 2005 where he addressed the United States Senate on the issue of the so-called food-for-oil program run during the Iraq War. The full 50-minute 2005 testimony is available for viewing on YouTube. The second video is George Galloway during the recent debate in Britain.